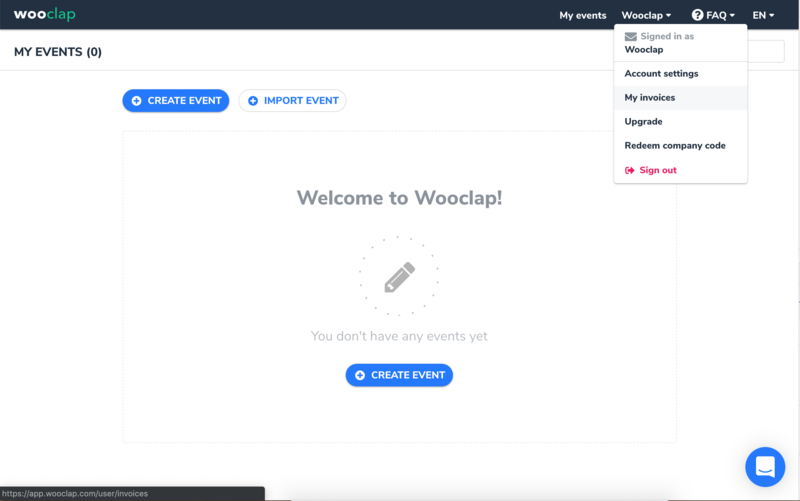 How much do Wooclap subscriptions cost and how do they work? How do I upgrade, cancel, and pay for a licence? What is the cost for businesses and educational institutions? Can I access my invoices? Are there rates for education? Myriad schools and universities use Wooclap to improve the quality of their classes. Wooclap is free for K-12 teachers to use, and we offer special rates for higher education, which you will find here. If you'd like to hold a free trial within your institution, get in touch with us! Many businesses regularly turn to Wooclap to measure the impact of their training sessions, liven up their workshops, and gather feedback from their audience during conferences. You'll find our prices for such use here. If you're planning a large-scale one-time event, we also offer single licences. To allow for preparation and necessary testing in anticipation of these events, your account will be upgraded for an entire month, starting on the day of purchase. Can I try out the platform? 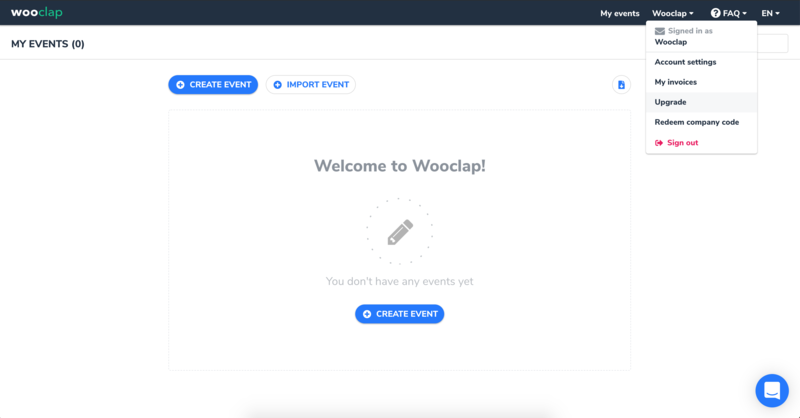 The free plan allows you to use Wooclap with up to 30 participants per event. Create as many questions and events as you'd like! Click on your username and select Upgrade in the drop-down list. Yearly subscriptions are billed annually from the date you start your subscription. One-time events are billed once at the time of purchase. No. You pay annually, and you can cancel or change your plan at any time. You may cancel your subscription to Wooclap at any point prior to your next billing period (annual subscriptions are renewed automatically), no questions asked. Cancel anytime means you can turn off the auto-renewal for your subscription whenever you'd like, and if you do so at least 48 hours prior to the renewal date, you will not be charged for subsequent billing periods. If you do not cancel at least 48 hours prior to your renewal date, your subscription will be renewed automatically and we will charge your account using the payment method on file for you. Note that "one-time event" plans are never automatically renewed. You can end your subscription using the Cancel my subscription link at the bottom of the Pricing page. Make sure to tell us why to help us better understand the needs of our users! Click on your username and select My Invoices in the drop-down list.